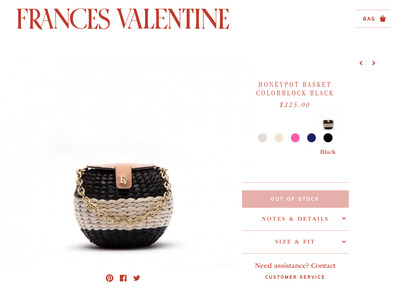 Frances ValentineFrances Valentine’s purses are selling out following Kate Spade’s death. Kate Spade, 55, was found dead in a reported suicide on Tuesday. Following news of Spade’s death, shoppers quickly turned to Frances Valentine – her handbag-and-shoe company – to buy the late designer’s final creations. 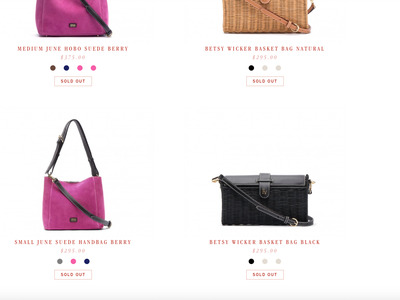 All 25 of the bags listed among Frances Valentine’s new arrivals were sold out as of Wednesday morning. Following Kate Spade’s death, shoppers are buying up the designer’s line. Frances Valentine, a handbag-and-shoe company launched by Spade and her husband Andy Spade in 2015, is selling out following news of the designer’s death on Tuesday. As of Wednesday morning, dozens of items were listed as completely sold out on the retailer’s website. 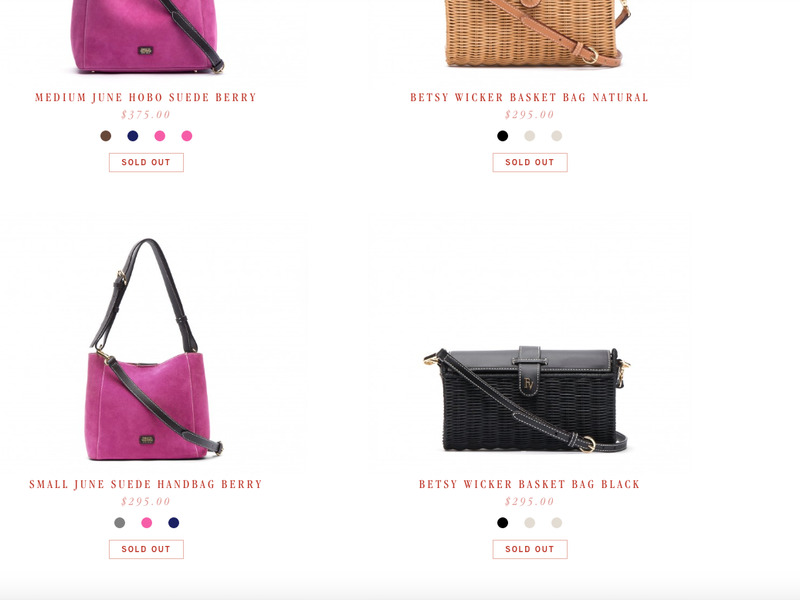 All 25 of the Frances Valentine bags listed among the brand’s new arrivals were sold out. Of the more than 60 accessories, purses, and shoes listed in new arrivals, all but a handful were sold out or only available for preorder. Frances ValentineJust a few of the Frances Valentine bags that have sold out. Sold-out purses include the $US195 Maggie Suede Crossbody Bag, the $US375 June Hobo Suede Bag, and the $US295 Betsy Wicker Bag. Other sold-out items include the Jude Mary Jane Leather Flats, which were priced at $US295, and the Turquoise Filigree Earrings, priced at $US35. Frances Valentine’s social media accounts have been flooded by people expressing their sorrow and sympathy following Spade’s death. “I am so sorry to hear. This is absolutely devastating,” one person commented on the brand’s Facebook page. Spade launched her namesake brand in 1993, a year before she married her husband. They sold the business to Neiman Marcus in 2006, launching Frances Valentine nine years later. Kate also changed her name to Kate Valentine. * If you need help in a crisis, call Lifeline on 13 11 14. For further information about depression contact beyondblue on 1300224636 or talk to your GP, local health professional or someone you trust.